Valerie Carr spent her childhood around the village of Latheronwheel and has written "Green" as an extension to her few pages she started to write for her three children to let them know what she did as a child before the age of the DVD and the play station. Many readers will find the country life portrayed in her childhood days in Caithness remarkably similar to rural life in Scotland through the fifties and sixties. Even townies will see parts that recall the carefree days when we all wandered freely around when traffic was non existent - although it is hardly overwhelming even now in Latheronwheeel and other parts of the Highlands. Written in an easy style, it is a dip into book to pull out a memory or to read right though to be pulled right back into a child's rural Caithness of the 50's and 60's. From her pets to encounters with nature and the tales of witches at the Bell Tower, history in the raw beauty of the burial mounds and stones that abound in Caithness all woven into her daily life. Through festivals in Caithness to her relationships with adults there is a fair amount of the smiles brought about by half remembered childhood for many of us put back in place as you read Green. Her Nana taught her to mix pancake batter and how many of us have some similar recollection. Green is filled with this type of aid to the memories of our own childhood and it is impossible to read without it jogging the memories no matter where in the country you come from. A book that women will love and children enjoy to see how things were not so long ago. But perhaps it should be family reading to see what can bring a life time of happy memories for any childhood that parents could do well to try to re-create. The book has the added bonus as being a description of a part of Caithness it is possible to go and see as it has changed little over the years since she lived there. Most homes now have central heating so there is not the necessity to gather round the open fire but standing at the Smerral Road today it is possible having read the book to imagine that time in Caithness has stood still. The essence of Caithness that many people try to capture has partly been distilled into this book. 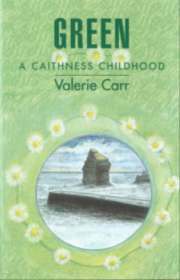 The reasons why so many people have fond memories even after generations of this county of Caithness are to be found in the memories Valerie has recalled. 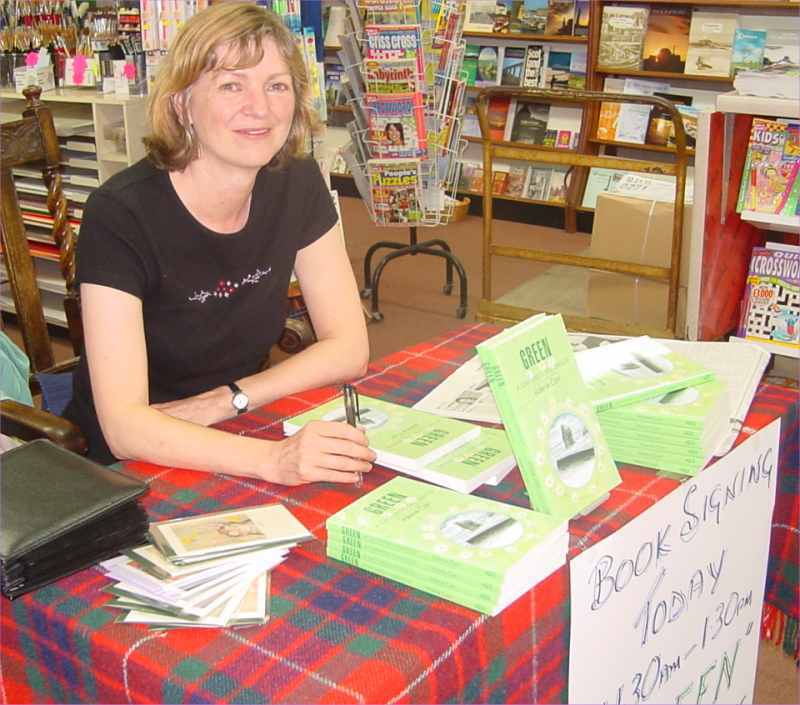 Valerie who now lives in Stonehaven has joined a large number of people who have become writers and artists as a result of their experience in the north. She studied art and now has a husband, three children and several pets. As the book tells she has not lost her early love of animals and nature. This autobiographical account of childhood in the '50s and '60s centres around Latheronwheel, a small village in Caithness. Brimful of anecdote, it is neither slushily sentimental nor dreamily nostalgic, but an evocation of country life and a child's relationship both with adults and nature.